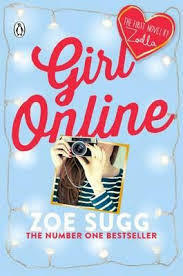 The incredible number 1 bestselling debut novel from YouTube phenomenon Zoe Sugg, aka Zoella, now in paperback. Contains exclusive extracts from the sequel. I have this dream that, secretly, all teenage girls feel exactly like me. And maybe one day, when we realize that we all feel the same, we can all stop pretending we're something we're not...But until that day, I'm going to keep it real on this blog and keep it unreal in real life. Penny has a secret. Under the alias Girl Online, Penny blogs her hidden feelings about friendship, boys, high school drama, her crazy family, and the panic attacks that have begun to take over her life. When things go from bad to worse, her family whisks her away to New York, where she meets Noah, a gorgeous, guitar-strumming American. Suddenly Penny is falling in love - and capturing every moment of it on her blog. But Noah has a secret, too, one that threatens to ruin Penny's cover - and her closest friendship - forever.